I was just reading about a book called “Potatoes not Prozac”. The theory is a diet with lots of protein and complex carbohydrates can help relieve sugar addiction. They do seem to have a calming effect. This is a very simple way to roast potatoes–we are spoiled to get them from Terra Firma Farm. Any kind of spices. I love fresh rosemary. Combine all ingredients and roast at 450 for @ 25 minutes flipping once. 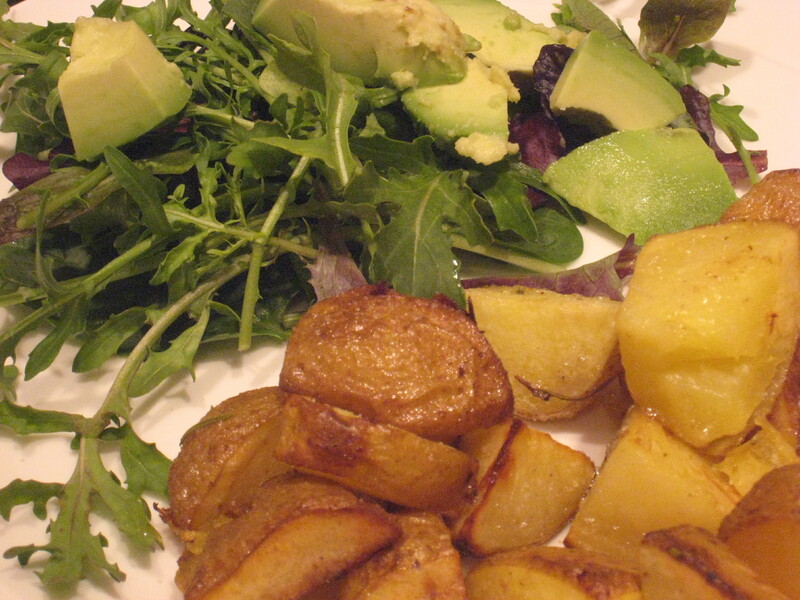 Great alone or with a salad (fresh greens and avocado pictured above).